The preferred location for this position is New York, NY, but candidates based in Washington, DC and remote locations will be considered. Are you passionate about criminal justice reform, specifically improving the treatment of people in prisons and jails across the country? Are you interested in working with people who work and live in prisons and jails, as well as external stakeholders? Do you have the ability to work on multiple projects effectively and efficiently? Are you detail-oriented and highly organized? Are you able to work collaboratively and support a team but also comfortable taking the initiative? Do you like working with people of diverse experiences and backgrounds? Are you excited about the prospects of traveling domestically for work, including visits to correctional facilities? If so, then you may be a perfect fit for the Program Associate position with Vera’s project, Safe Prisons, Safe Communities: From Isolation to Dignity and Wellness Behind Bars. We work with departments of corrections to help them safely and effectively reduce and reform their use of restrictive housing (also called isolation, segregation, or solitary confinement) and educate the larger corrections community, other government officials, and the public on this issue. The Vera Institute of Justice, founded in 1961, envisions a society that respects the dignity of every person and safeguards justice for everyone. Vera’s Center on Sentencing and Corrections seeks a Program Associate to work in its New York office on the project Safe Prisons, Safe Communities: From Isolation to Dignity and Wellness Behind Bars. 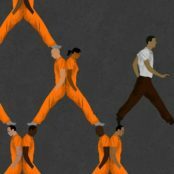 Since the 1980s, U.S. prisons and jails have increasingly relied on the use of restrictive housing—also known as segregation, isolation, or solitary confinement—to maintain order and manage their populations. This is despite substantial evidence pointing to the potentially devastating psychological effects of isolation as well as the lack of evidence that its use leads to greater institutional safety or improves public safety in the communities to which those who have been held under such severe conditions will return. That said, the tide is turning, and corrections officials across the country are motivated to reform this practice. Vera has partnered with corrections agencies since 2010 to safely reduce their reliance on restrictive housing and develop alternative strategies. Since that time, we have worked in 16 jurisdictions across the country, helping systems achieve reductions in their segregation populations as high as 85%. 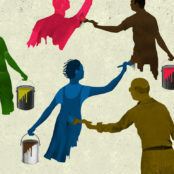 Vera is moving into a new phase of the work, which will involve working intensively to help two states design and implement reforms that will drive down their use of solitary, engaging external stakeholders to support reform efforts, and disseminating new promising practices being implemented in Vera’s jurisdictions and other systems to the field. The Program Associate will be a part of the project team working to significantly reduce the use of restrictive housing in prisons and jails, with a particular focus on developing and implementing reforms in two state prison systems with which Vera has recently partnered. This position reports to the project director for the Safe Alternatives to Segregation Initiative. The Program Associate will work closely with the project director, two senior program associates (each leading our work in one of the state prison systems), and a research associate. Provide ongoing technical assistance to our partners in the field, including both on-site and from the office, in collaboration with a Senior Program Associate and Research Associate. Help each agency significantly reduce their use of restrictive housing by working in partnership with them on a range of activities, including identifying 3-4 main policy and practice changes to target the biggest drivers of their use of segregation (such as the disciplinary process or the need for specialized housing units for specific populations), drafting new policies, piloting reforms at certain facilities, and assessing the effectiveness of reforms. Participate in team site visits to state prisons, which may include meetings and workshops with leadership and staff, tours of facilities, and conducting focus groups, surveys, or interviews with staff and with incarcerated people—in order to gauge needs, inform the development of new policies and practices, and assess implementation and impact of reforms. Participate in team site visits to corrections agency headquarters, state capitals, and other locations deemed necessary, for meetings, briefings, conferences, etc. Take the lead on many project management tasks, such as coordinating logistics for the site visits, helping to manage the team’s work plan, and ensuring comprehensive documentation of meetings. Manage remote and on-site educational sessions for staff from Vera’s partner agencies, with other corrections agencies and experts around the country to learn about promising practices. Assist in communications and relationship-building with corrections partners and external stakeholders (such as legislators, governors’ staff, and community advocates). Contribute to team discussions and strategic planning about how to best support reforms in the site, as well as contribute to the nationwide reform movement. Assist in drafting, editing, and developing project materials such as factsheets, policy briefs, presentations, and blog posts. Conduct research on various related topics and create memos or other resources, as needed. Monitor media coverage, pending legislation, and litigation related to segregation in prisons and jails around the country. Manage and update content on the project’s website, the Safe Alternatives to Segregation Resource Center (www.safealternativestosegregation.org) – including finding and adding new resources to the online library, adding additional “promising practices” for reform used by corrections systems around the country, and managing a weekly newsletter. Assist in grant writing and future program development. Coordinate the project’s Advisory Council, a body of experts in the field who provide guidance to the project and Vera’s corrections partners. Assist on other tasks as needed. 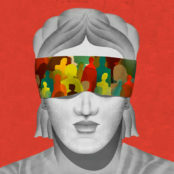 A demonstrated interest in and knowledge of criminal justice reform, policy development, government, and social justice. Experience in jail or prison environments and exposure to incarcerated people and corrections staff (highly desired but not required). A bachelor’s degree and 4-6 years of relevant work experience related to justice systems, government, advocacy, and/or public policy. A master’s degree or law degree in a related field is desirable, though not required. Excitement for frequent (generally domestic) travel, for site visits and meetings. Vera also values personal experience with communities affected by criminal justice and other government systems. $52,000–$70,000, based on experience, with excellent benefits. Please submit cover letter, resume, and writing sample. The writing sample\ should be a policy related writing document that has either not been edited by others or is close to your original draft before others edited it. Applications will be considered on a rolling basis until position is filled. Online submission in PDF format is preferred. For more information about Vera and CSC’s work, please visit www.vera.org.